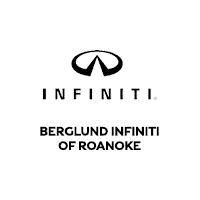 Berglund INFINITI of Roanoke serves Roanoke, VA, as well as Christiansburg and Blacksburg by providing a great selection of new and pre-owned INFINITI models, including service, repairs, parts and finance options. If you are searching for a dealership that is 100% committed to customer satisfaction, then look no further than Berglund INFINITI of Roanoke! Welcome to Berglund INFINITI of Roanoke where we are 100% committed to your customer satisfaction and exceeding expectations! Our highly-trained staff strives to make every minute of your service and car buying experience an enjoyable one each and every visit. No matter what brings you to our dealership, we’ll go above and beyond to make sure you leave satisfied! Whether you are searching for a new INFINITI, popular pre-owned vehicle or outstanding auto service and parts, we are here to help! If your vehicle needs auto service or you are in the market for a new vehicle, feel free to give us a call or stop by today! You’ll get the quality service you deserve for an affordable price you’ll love here at Berglund INFINITI of Roanoke! Come experience all the incredible things Roanoke, VA has to offer! Conveniently located just west of the Blue Ridge Mountains, you’re just minutes away from the scenic Blue Ridge Parkway, perfect for when you’re in the mood for a scenic road trip through the breathtaking Blue Ridge Mountains. Additionally, if you’re up for an action-packed day full of outdoor adventures, you’re in luck with the numerous activities available like hiking, biking, kayaking, canoeing, bird watching and plenty more incredible activities to choose from! You can also head to the beautiful downtown area if you prefer to enjoy a day of relaxation filled with shopping, farmers markets and incredible dining at the many outstanding local restaurants! Plus, be sure to check out the iconic Roanoke Star, which stands 100-feet tall, and enjoy the breathtaking view of the region from atop Mill Mountain! So, what are you waiting for? Start planning your next adventure and head to Roanoke, VA, where there’s always something exciting to see and do! Fincastle Courthouse Designed by Thomas Jefferson, this former governmental outpost was constructed more than 150 years ago. H&C Coffee Sign and Dr. Pepper Sign These neon signs define the Roanoke City’s downtown skyline and represent Roanoke’s commercial past.